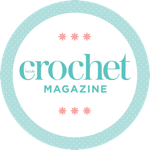 Home > Events > Closing Tomorrow – Knitting and Stitching Show Giveaway! Roll up, roll up! There are less than 2 days left to enter my giveaway to win tickets to the Knitting and Stitching Show 2017. Enter using the widget below – and remember you can get daily entries for tweets and a click, so make the most of the opportunity!